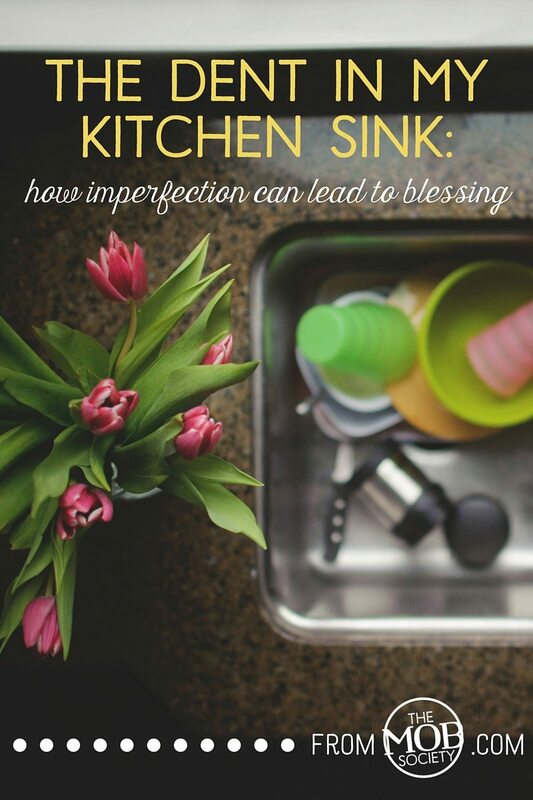 There’s a dent in my stainless steel sink … a testimony to my imperfection. It’s not huge, and I don’t know if anyone else notices it or not. But I’m glad it’s there. I look at it, time and again, and it reminds me. It reminds me of that afternoon I lost it with my boys. I had played referee one too many times. They were loud, things were chaotic, and I had so much to do. They were wrestling once again in the family room, putting the little three year old in peril and basically just getting on my last nerve. As I washed the dishes and watched them tussle once more, I’d had it. I yelled and I banged the pan against the sink…creating that memorable dent. The result of my impatience, my expectations, my perfectionism. 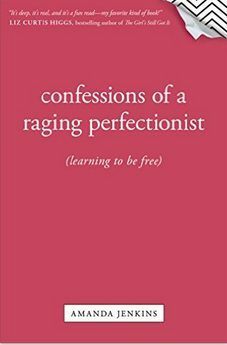 Perfectionism and imperfection sound like complete opposites, but I’ve found that one leads to the other. Although it’s a bit of a broken road, it’s the real path of blessing. When we’re perfectionists, we begin to see others – even those we love – as never good enough. We expect them to be perfect, too. And they can pick up what we’ve modeled for them. Unfortunately, it results in the same disappointment and guilt for them. One of the biggest problems with perfectionism is that it masks one of the secrets of success in life. Success doesn’t hinge on getting everything right; instead, success has to do with how you handle getting things wrong. Working through a tough problem results in creativity and persistence. What will serve you and your sons in the future? An unreachable bar, disappointment, and guilt, or creativity and persistence? 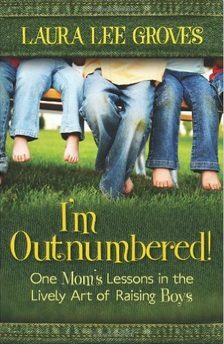 Only when we moms admit we really aren’t perfect—and can’t be—can we model the learning curve for our sons. Our boys watch us closely, so shedding perfection often begins with Mom. Embrace imperfection? How can that be? Well, first, we have to realize there’s a difference between perfection and excellence. Excellence is doing your very best—putting all you have into the task for God’s glory. Perfection involves feeling bad about what you’ll never achieve. The difference is in focus. When we strive for excellence our focus is on doing the best we can; when we strive for perfection, we’re preoccupied with our shortcomings. Second, see failure as information. Each misstep is an opportunity for growth. When you fell short, what did you do right? What could you improve upon? What great lessons to model for your boys, too. 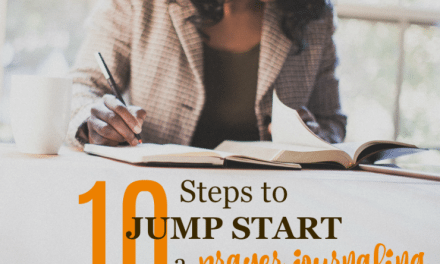 Each time you fail and pick up the pieces, moving on, learning, and making things better, you model a godly servant leader right in front of them. Third, realize where your true worth is. Perfectionists connect failure with feelings of worthlessness; they won’t be rewarded with love and approval unless they’re perfect. But our worth doesn’t hinge on our performance – Christ loves us as we are! He spent His time with tax collectors and sinners, those cast out by others who thought themselves “perfect.” He came and died for the imperfection of the world. Fourth, begin to focus on the One who is perfect. When we seek perfection for ourselves, our focus is on ourselves. We try and try, but we’re never good enough. That’s why Christ died for us. If we could attain perfection, we wouldn’t need Him. There’s nothing wrong with self-examination, but it must be tempered with grace. Christ told us His grace is sufficient for us, and His power is made perfect in weakness (2 Corinthians 12:9). We need to embrace the broken road and His grace in the midst of it – and move on! To a perfectionist, weakness might seem humiliating, but weakness is the very thing we need. It’s easy to create a Christianity of perfectionistic rules without a hint of relationship with God, but then we end up with an empty set of values. We miss out on Him and His grace. He gave us grace. We need to embrace it. Christ speaks grace to us. He will complete His good work in us if we only let Him. He won’t heal that dent in my kitchen sink, but you know what? That’s just as well. It reminds me daily of my imperfection and His grace. One really does lead to the other, and although it’s a broken road, it’s the real path of blessing. NextStruggle with Playdates? There Are Other Ways to Connect with Friends!